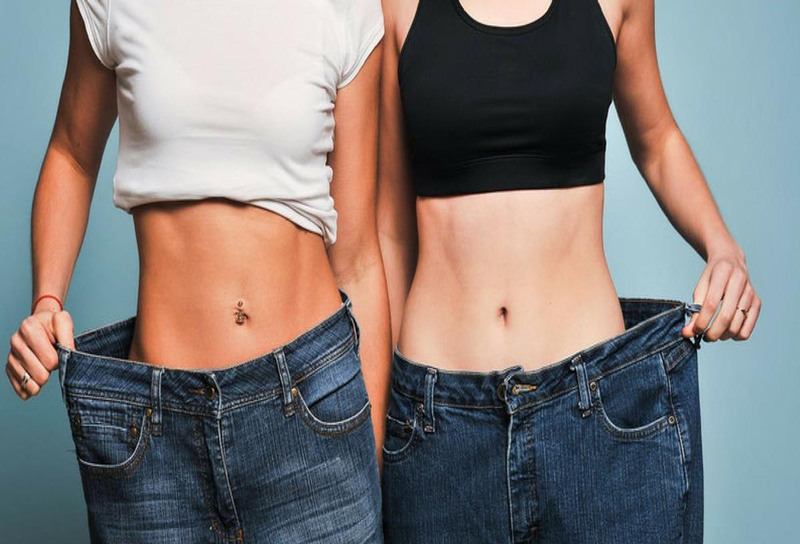 If you have some serious goals when it comes to losing weight, then meal replacement bars are a route down which you should consider traveling. Meal replacement bars are designed to, well ... you guessed it: replace entire meals. While doing that, they’ll still get your body the nutrients it needs but not leave you hungry and prone to overeating. The ultimate goal is that this will contribute to achieving any weight loss goals that you may have set for yourself. Before we jump into the products themselves — and it’s a wide-ranging list — let’s talk through a few high points about meal replacement bars of which all consumers should be aware. Obviously, your body has several needs when it comes to daily nutrition. The first nutrients that are often cut when people first begin dieting are protein and overall caloric intake. Both are vital to your body, but can easily get out of control if you don’t watch what you’re eating. The way to solve the issue is limiting yourself to only what your body needs. And that’s where meal replacement bars come in, as they are often stripped down to only include the bare essentials. Protein fills you up quickly and is a key component of the best meal replacement bars. The more protein your body takes in, the less hungry you are likely to feel. Plus, protein goes a long way towards rebuilding your muscles and keeping them healthy and strong while living an active lifestyle. We’ve all tried to cut calories as part of a diet plan or what is supposed to be an easy way to shed some pounds. But if you’re cutting entire meals out of your diet, you’ll need to replace at least some of those calories. The best meal replacement bars for weight loss won’t include all the calories your body needs, but they’ll give you a good start. Make sure to pay attention to exactly how many calories are in each bar, so that if you need to supplement the bar with a healthy snack, such as fruit or nuts, you’ll be able to do so without overeating. Additionally, let’s note that there isn’t a difference in gender when it comes to finding the best meal replacement bars. 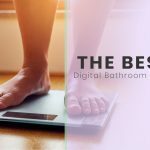 While some supplements are geared towards women or men, it’s not like there is a best meal replacement bar for weight loss for women; men and women alike can benefit from all of the products on this list. Now that we’ve got all that out of the way let’s get into the reviews and look for the best weight loss meal replacement bars. There are only four grams of sugar and 240 calories per bar. Outside of the massive amount of protein, there aren’t as many ancillary ingredients that we’ll find in some of the other selections, meaning that there are less additional benefits to the bars. The PROBAR Superfood Slam bar is higher in calories than some bars at 370 per serving. If you’re new to dieting, then more calories may sound like a bad thing, but it’s generally celebrated when it comes to the best protein meal replacement bars for weight loss. 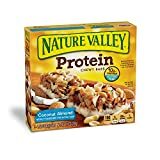 If you’re looking to replace breakfast with a meal replacement bar, this could be the best option, as they have a great-tasting, chewy texture with a roasted nut flavor. The bars are also non-GMO and low-glycemic, which allows you to process food slowly and for your body to grab all the nutrients it can possibly extract. 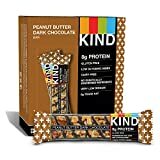 KIND Bars are somewhat of a household name in the natural foods industry. All ingredients are natural, and the bars are non-GMO and gluten-free. The MacroBar is vegan, gluten-free and dairy-free, so you’ll know exactly what you’re putting into your body. Also, there are 15 flavors available, including granola with coconut, apple walnut, peanut butter, cherries/berries, and plenty more. There are 12 grams of protein per bar, which is higher than most bars we reviewed, although the 170 calories is definitely on the low side. As for the healthy stuff, these bars have at least 200 calories each, although it does vary slightly depending on which flavor you select. The bars are non-GMO and 100 percent raw, and include 16 grams of protein per bar. They are simplified when it comes to ingredients, and the bars are both vegan and gluten-free. The fruit used in these bars are natural, and the overall ingredient mix is over 20 percent organic. If you want to make sure that you get the maximum amount of protein from your meal replacement bar, than look not further than Syntha-6’s BSN Protein Crisp Bar. Sure, it’s in the name, but we’re talking about 20 grams of protein per bar. As you’ll see in the rest of this list, that’s quite a bit of protein in one bar. And the reviews on the taste are centered on great texture and solid all-around flavor. There are only four grams of sugar and 240 calories per bar. Outside of the massive amount of protein, there aren’t as many ancillary ingredients that we’ll find in some of the other selections, meaning that there are less additional benefits to the bars. 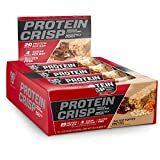 The BSN Protein Crisp Bar does come in 17 different flavors, including banana, chocolate cake batter, salted toffee pretzel, and more, all in packages of 12 bars. The PROBAR Superfood Slam bar is higher in calories than some bars at 370 per serving. If you’re new to dieting, then more calories may sound like a bad thing, but it’s generally celebrated when it comes to the best protein meal replacement bars for weight loss. The more calories in the bar, the less supplementing you’ll need to do. Another factor that sets this bar apart is that it is completely non-GMO and includes zero artificial ingredients, yet is still vegan, gluten-free and soy-free. Ingredients in the Superfood Slam are largely organic, plant-based foods such as flax seed, oats, dates, peanuts, and more. The flavor is sweet, which may be too much for folks who aren’t expecting such a (naturally) sugary bar. There are 10 grams of protein and six grams of fiber — both solid totals. The Superfood Slam from PROBAR comes in 12 different flavors, including almond crunch, banana nut bread, Oatmeal Chocolate Chip, Peanut Butter, and more and are sold in packages of 12. The company itself is a private, family-owned business that was started to create healthy, natural bars without all the stuff you don’t need. Indeed, they have a winner on their hands with the Superfood Slam. You may have heard of the Nature Valley brand before. As it turns out, they make some pretty healthy (and delicious) meal replacement bars. Nature Valley’s Protein Chewy Bar includes a solid 10 grams of protein and seven grams of sugar while maintaining high levels of fiber. If you’re looking to replace breakfast with a meal replacement bar, this could be the best option, as they have a great-tasting, chewy texture with a roasted nut flavor. The calories on the Nature Valley option won’t blow you away; they are only 170 calories per bar. If you grab one from breakfast, consider adding a banana or an apple to make sure you are able to make it until lunch time. Also, these bars are only sold in boxes of five. 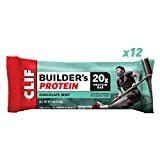 Clif has become a popular brand in recent years for folks who work hard to stay in shape and use meal replacement bars as a way of assisting them in that process. The Builder’s Protein option from Clif is a fantastic choice, to be sure. Clif’s Builder’s Protein Bar is, of course, high in protein with a whopping 20 grams included. Unfortunately, the bars also come with an equal amount of sugar, placing it as one of the sugariest entries on our list. There are 10 flavors to choose from, including chocolate, chocolate mint, cookies ‘n cream, crunchy peanut butter, and more. You can grab these Clif bars in packages of either 8 or 12. The 270 calories included is fairly middle-of-the-road for protein bars, but at least the majority of ingredients are organic, including dates, oatmeal, and almonds. 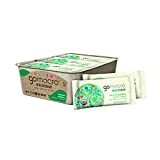 The bars are also non-GMO and low-glycemic, which allows you to process food slowly and for your body to grab all the nutrients it can possibly extract. This keeps your blood sugar from spiking and gives you longer-lasting energy instead of a quick spike with a downward spiral. If you’re extremely active and exercise frequently, a high-protein option like the Builder’s Protein Bar is the way to go. KIND Bars are somewhat of a household name in the natural foods industry. All ingredients are natural, and the bars are non-GMO and gluten-free. They are also an excellent source for fiber while remaining low-sodium and dairy-free. We’re reviewing the Peanut Butter Dark Chocolate variety, which includes natural varieties of nuts. They are low-glycemic, which means that they’ll digest slowly and prolong the energy derived from the bar. These KIND Bars have a delicious and nutty flavor and are coated in roasted peanut butter and dark chocolate. They are 200 calories each, which is about average for the bars that made it onto our list. You can purchase them in standard boxes of 12 bars, or a variety pack with multiples flavors in a package of 40. The MacroBar was created with an all-natural, plant-based diet in mind, and this product passes those tests with flying colors. GoMacro’s MacroBar holds R.A.W. and C.L.E.A.N. 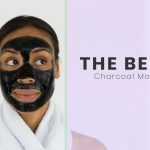 certifications and is USDA Certified Organic, meaning that you can ensure that you aren’t putting any pesticides or chemicals inside your body. The bars have six grams of protein, which is perfect for the average meal replacement bar consumer but perhaps a bit low if you’re a frequent weightlifter looking to build and maintain large amounts of muscle. The MacroBar is vegan, gluten-free and dairy-free, so you’ll know exactly what you’re putting into your body. Also, there are 15 flavors available, including granola with coconut, apple walnut, peanut butter, cherries/berries, and plenty more. These bars are also sold in packs of 12. To this point, this is the best organic meal replacement bar for weight loss that we’ve found. 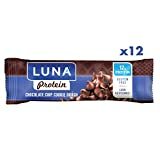 Luna Protein makes a gluten-free meal replacement bar that has outstanding flavor and checks many of the boxes that you’re no doubt looking to fill when it comes to the best meal replacement bars for weight loss. Not only are Luna Protein’s bars gluten-free, but they’re also non-GMO and low-glycemic. And it doesn’t stop there: these are the first bars we’ve come across that emphasize their richness in Vitamin D and iron -- two nutrients that are vital to your body that you won’t find in just any meal replacement bar. There are 12 grams of protein per bar, which is higher than most bars we reviewed, although the 170 calories is definitely on the low side. Flavors to choose from include chocolate chip cookie dough, berry greek yogurt, chocolate peanut butter, and plenty more, all in packages of 12. The flavor is good, although this is another option that folks who don’t want anything to do with a sweet meal replacement bar may ultimately want to stay away from. 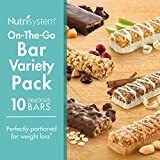 Nutrisystem’s meal plan has released a number of bars that are designed to be a part of the plan, and this variety pack has 10 bars in assorted flavors that can be consumed as stand-along meal replacement options. There are five flavors included: two each of fudge graham, sinnamon bun, double chocolate caramel, and peanut butter granola, and one each of harvest nut and apple strudel. Assorted variety pack, indeed. As for the healthy stuff, these bars have at least 200 calories each, although it does vary slightly depending on which flavor you select. They are relatively high in sugar with anywhere from 7 to 12 grams per bar, again depending on flavor. 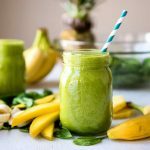 We don’t have much information on the nutrients included, and there is less of an emphasis on the ingredients than with some of the other options on our list. The company Organic Food Bar has delivered a delicious meal replacement bar that is an excellent source of both fruits and vegetables in the Active Greens Chocolate Bar. The proprietary and exclusive green superfood blend of 4000mg includes certified organic Spirulina, wheat, and barley grass juice powder, plus blueberry and raspberry and other ingredients. Everything about these bars is USDA certified organic and gluten-free, soy-free, and trans-fat-free. You can buy them in packs of 12. The bars are non-GMO and 100 percent raw, and include 16 grams of protein per bar. They are simplified when it comes to ingredients, and the bars are both vegan and gluten-free. Active Greens Chocolate Bars have tons of antioxidants and don’t have any additives or preservatives. You can choose from original, chocolate, or chocolate chip. But regardless of which flavor you pick, you’ll be getting a delicious and versatile meal replacement bar. Odwalla’s superfood bars can be found in several flavors, including Berries GoMega, Banana Nut, and Blueberry Swirl. The fruit used in these bars are natural, and the overall ingredient mix is over 20 percent organic. Outside of the actual fruit, other natural ingredients include flax, figs, oat flour, sunflower seeds, and more. The bars are 210 calories each, which is about middle-of-the-road, but they do have a high sugar content at 16 grams per bar. Each package includes 15 Superfood Bars. The ground flax that is included in Odwalla’s Superfood Bars includes 1000mg of essential omega-3 fatty acids –– a nice added bonus. 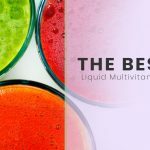 Now that you’ve looked through our entire list of the best weight loss meal replacement bars on the market, you have no doubt seen some trends. Virtually all of the bars we reviewed landed somewhere between 7 and 20 grams of protein. While single-digit grams is probably a bit low for what you’d be looking for, 20 grams really only makes sense for those of us with a fairly intense workout routine. If you find a bar in the 10 to 15-gram range, you’ll probably be in the right spot. When it comes to calories, you’ll need to take out the calculator and start by figuring out what your current caloric intake looks like. If you make the jump to to replacing at least one meal with a meal replacement bar, it more than likely won’t come close to matching the calories you’re eliminating by taking out that regular meal. And that’s okay; you want to lose weight, after all. But be careful to not cut calories too drastically, as it a) may not be all that healthy to do so suddenly, and b) if you drop all the way down to a low-calorie meal replacement bar, you may be hungrier and end up eating more calories than intended because you never feel full. Make sure you know how many calories are in the bars that you choose, and be sure to supplement with healthy snacks where appropriate to make sure that your body is able to generate the energy that it needs. We’ve looked at the best meal replacement bars for weight loss list, and we’ve found that there are (at least) 10 solid options. As it turns out, meal replacement bars are an effective way to help you lose weight, and as long as you do your research and are motivated to find the best fit for your wants and needs, you could be well on the way to achieving your weight loss goals. As always, be sure to consult your doctor before doing anything drastic -- such as cutting an entire meal out of your diet. 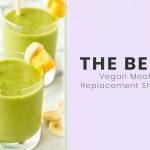 While meal replacement bars are generally completely healthy and a viable part of the solution, it’s important to make sure that your doctor agrees with the changes you’re making. The bar that you ultimately go with needs to be the right fit for you. Start with something that has a lower quantity, just in case you don’t like it, and go from there. A huge upside to meal replacement bars is that there are tons of flavors to choose from, so it isn’t like you’re pigeonholed to one option. Maybe you think you want a product with a lower calorie count as you’re going to ease into cutting out a meal by supplementing with fruit or vegetables. Or perhaps you are cutting protein out in other areas of your diet and need to get what you can out of your meal replacement bar. Whatever camp you might be in, take your time, do your research, and don’t marry yourself to the idea of one bar or another. There are plenty to choose from, and there really isn’t a right or wrong answer, only what is best for you.